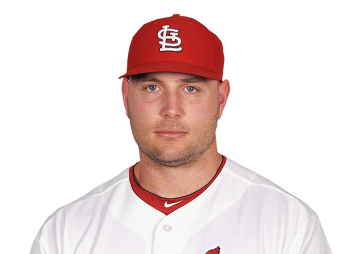 Matt Holliday, enthralled that he’s going to the All-Star Game. Don’t look now, but (knock on wood) the Cardinals may be setting themselves up for a fantastic second half. With health comes good fortune, and thanks to the energetic returns of Skip Schumaker and Jon Jay, the Cardinals have been playing with resolve the last three weeks, and it’s shown. Since their return, when the Cardinals limped in to Kansas City with a .500 record, the team has won four of their last five series, going 11-5 in that span. The team enters the All-Star break with a 46-40 record and stand two and a half games out of first behind Pittsburgh(!?). I think I’ve mentioned him on here the last two weeks, but, well…he’s earned it. Since the beginning of that series against the Royals, he’s gone a tidy 28 for 60 (.466), slugged .683, and has 13 RBI in 16 games. He’s also riding an 11 game hitting streak. 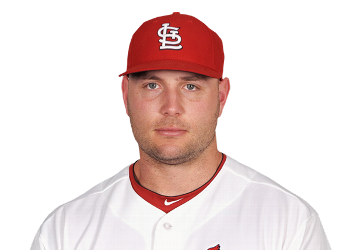 With Yadier Molina missing the All-Star game (more on that in a bit), Holliday will participate in his sixth All-Star game, and third straight with the Cardinals. After a slow start, Holliday’s season statistics are now a gaudy .317/.397/.520, right in line with his career averages (.315/.388/.540). He now has 14 home runs and 56 RBI. This turnaround must also give credit to the starting rotation, who is performing well even in the absence of Chris Carpenter (out for the season) and Jaime Garcia (who is currently rehabbing his shoulder and recently began throwing bullpen sessions). – Kyle Lohse just threw his sixth consecutive game in which he threw seven or more innings, defeating the Marlins 3-2 yesterday. – Adam Wainwright rebounded from his worst start of the season to throw six strong innings against the Rockies, winning 4-1 on Wednesday. – Jake Westbrook was the victim of bad defense, but even in losing Friday night, he still surrendered only one earned run in six innings. – Lance Lynn shook off three consecutive poor outings and shut out the Rockies for six innings. – Joe Kelly struggled with spotty command today, surrendering five walks, but he only allowed two hits and didn’t allow an earned run in six innings. He lowered his ERA to 2.70 in six starts and has filled in quite nicely for Garcia. Yes, ladies and gentlemen, believe it or not, the bullpen has been an asset recently. Now, some of that may be a bit misleading. Rzepczynski struggled today, allowing two hits and two walks, but the Cardinals got out of it thanks to a caught stealing and Boggs getting a strikeout with the bases loaded. Still, for the past nine games, the relief corp has done its job, and done it well. It’s a small sample size to be sure, but if people are going to criticize the bullpen when it struggles, it’s only fair to give them their due when they succeed. It’s tough to categorize Freese’s past week. On one hand, he’s gone 11 for his last 25 (.440), so he’s seeing the ball pretty well. On the other hand, only one of those base hits has gone for extra bases (a double), he only has three RBI in his last nine games, he committed two errors Friday that allowed the tying run to score, and he got hit twice yesterday and was sore enough that he wasn’t in the lineup today. Then again, there is the fact that he drew a crucial walk today and scored the winning run and was selected to his first ever All Star game. So…yeah. After running off an impressive streak of nine straight games with an RBI (an impressive 15 during that streak), Beltran’s gone on a bit of a cold run, driving in just two runs and going 4 for 24 in his last six games. Still, Beltran goes into the break with an NL-leading 65 and will be starting in the All-Star game and representing the NL in the Home Run Derby. Well, with the All-Star break coming up, the Cardinals have the week off until Friday, when they travel to Cincinnati. As far as the Cardinal All-Stars, five will be heading to Kansas City: Carlos Beltran, Lance Lynn, Rafael Furcal, David Freese, and Matt Holliday. Yadier Molina has been placed on the bereavement list due to the death of his wife’s grandfather (from my understanding, he raised her, so he was more like a father to her than a grandfather) and will not be attending. As a result of this move, Tony Cruz has handled the catching the last three games with Bryan Anderson (recalled from Memphis) serving as his backup. Regardless, thoughts and prayers to the Molina family during this time. Finally, on a slightly more positive note, it’s expected that Lance Berkman will rejoin the Cardinals in Milwaukee after the first series against Cincy. It’s likely Berkman will do a small rehab stint in Springfield before rejoining the team. Should this happen, the Cardinals will face the problem of getting Allen Craig at-bats alongside Berkman, Beltran, and Holliday, but that’s an issue down the road.